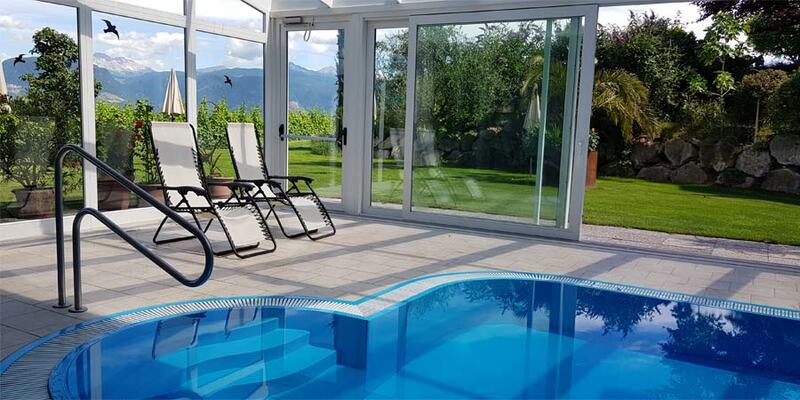 You could spend your vacation in a comfortable appartement, studio, suite or in a doubleroom; all of them are situated in a quiet area embedded in the typical vineyards of Überetsch/Appiano with a wonderful panoramic view to the surrounding Dolomites and the city of Bozen/Bolzano. Enjoy living in the center of the famous wine region. There are plenty of possibilities for easy hiking and more demanding mountain tours in the nearest surroundings. The lovely vineyards, the nearby lakes of Montiggl and Kaltern/Caldaro and the breathtaking Dolomites further invite you to impressive bicycle tours. After a great day, relaxing in our new wellness area, will make a great holiday complete. With our professional beauty-expert relaxing becomes easy. Whether massages, baths, beauty packs, or relaxation treatments, our expert will help you find your individual wellness programme.